ProSource® of New Orleans encourages trade professionals to bring their clients into the showroom to browse our collection of materials and products. Whether your client wants to replace their toilet or complete an entire bathroom remodel project, we can help. Our expert, friendly staff can offer advice, solutions, and guidance along the way so you can complete your projects on time or ahead of schedule. 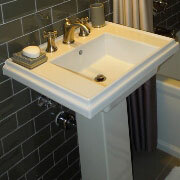 Whether your client is looking for a pedestal, vessel, or standard bathroom sink, we can help. The great selection of sinks in our New Orleans showroom is surprising to most trade pros. Stop by and choose from a variety of styles, designs, colors, and functions today! 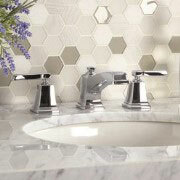 ProSource of New Orleans is proud to present more than the traditional one-size-fits-all sink faucets. Your client will be able to mix and match to their heart’s content to find the best sink-faucet combination available on our showroom floor. A shower remodel is a big project, whether as a part of an entire bathroom remodel or as a solo endeavor. Our wide collection of tubs, hardware, and more offers you and your client more options than you could ever dream up. Although bathroom vanities are a big feature, they offer more features than the space they require to exist in your client’s bathroom. 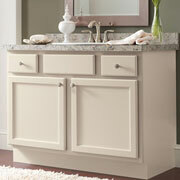 Whether you need extra storage space, counterspace, lights, or mirrors, a vanity is a great choice. You’ll find multiple options at our New Orleans showroom. ProSource of New Orleans offers more than the standard tub. 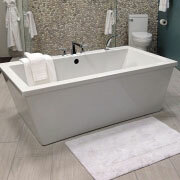 Our selection of tubs ranges from tub-only, jacuzzi, to clawfoot tubs. Your client’s personality, aesthetic, and function can be achieved with our materials and products. Visit us today! When searching for a new toilet, consider what your client wants to achieve. 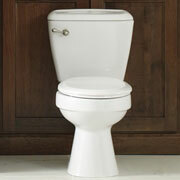 They can find an eco-friendly flush, standard porcelain, or a specialty toilet at our New Orleans showroom. It all depends on how they want their toilet to look, function, and feel in their bathroom.